November 4 update: The press release and video highlights from the 2011 Quiznos Pro Challenge host cities announcement (Colorado, USA). October 23 update: The 2011 Giro d'Italia route presentation was today: official 2011 route details now posted. 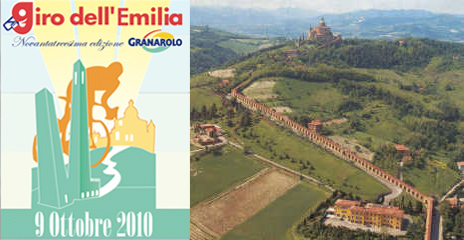 October 8 update:, Giro dell'Emilia is a fantastic, hilly race in the Emilia-Romagna region of northern Italy. It's the third biggest one day race in Italy after Milan-Sanremo and next weekend's Giro di Lombardia. We'll have big photos after the race. 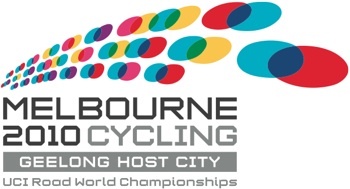 UCI Road World Championships (Sep 29 - Oct 3): starts Tuesday in the United States and Wednesday in Australia and Europe. September 19 update: US Pro Mens Road Race Championships Sunday September 18th. Official Site: Grand Prix Cycliste ProTour | Québec - Montréal. August 17-24 update: The eight-day Eneco Tour (Tour of Benelux) race from the Netherlands & Belgium starts Tuesday. August 17-22 update: Tour of Utah Live Dashboard: a mountainous non UCI stage race in the United States starring Levi Leipheimer and George Hincapie. No live video but text updates. Big Photos and Video Highlights after each stage. August 4-8 update: Vuelta a Burgos Live Dashboard: a hilly race in the north part of Spain is taking place this week. It's a 2.1 race with a good startlist and live video. Check it out if you have Tour de France withdrawals. June 22 update: Route du Sud 2010 Dashboard: completed coverage with video highlights and photos of the 3 day, 4 stages race from French Pyrenees. June 12-20 update: Saturday June 12th is the start of the week long Tour de Suisse, a gorgeous stage race with a Tour de France quality startlist this year. Race info, previews, official startlist and live coverage details now posted. June 6-13 update: Sunday June 6th is the start of the week long Critérium du Dauphiné from the French Alps. Updated race info, previews, official startlist and live coverage details now posted. May 16-23 update: The 8-day Amgen Tour of California starts Today, Sunday May 16, and runs thru Sunday May 23. Route details, startlist, preview videos and live coverage options now posted. May 8-30 update: The epic, three-week Giro d'Italia. Race info, preview, startlist and broadcast details including live streaming video. May 3 update: Tour of the Gila and Tour de Romandie wrapped up on Sunday. Completed coverage including final results, photos and video. Coming up next are updates for the Giro d'Italia which starts this Saturday May 8th. April 28 update: Lance Armstrong, Levi Leipheimer and Dave Zabriskie will be tuning-up this week at the Tour of the Gila stage race in New Mexico. Race info, startlist and early live coverage details now posted. April 26 update: Tuesday is the start of the six-day Tour de Romandie from the western (French-speaking) part of Switzerland. It features a mix of time-trialing, sprint and hilly stages. The latest race info, startlist and live/video details are now posted. 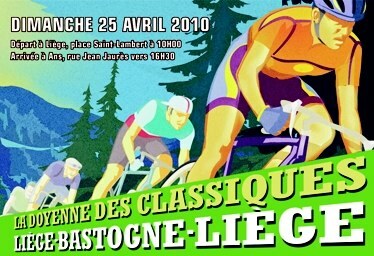 April 25 update: The third Ardennes classic, Liège-Bastogne-Liège is today. Results, reports and highlights now posted. April 21 update: The second Ardennes classic, La Fléche Wallonne was today. Live coverage has completed. Full results, video highlights and photos now posted. April 19 update: Tuesday is the start of the four-day Giro del Trentino from northern, northern Italy... the Dolomites. It's a mountainous preview and prep for the Giro d'Italia. The latest race info, startlist and live/video details are now posted. April 18 update: Sunday is the start of the Ardennes classic series. First up is the Amstel Gold Race (completed coverage). Previews, startlist and early live coverage details now posted. Also, today is stage 5 of Vuelta Ciclista Castilla y León, the final day. April 13 update: Wednesday is the start of Vuelta Ciclista Castilla y León from Spain. Route details, live coverage and startlist now posted. The semi-classic De Brabantse Pijl is Wednesday morning as well. Live links coming. Also, route details for next week's Giro del Trentino are now posted. April 9 update: Saturday is the final stage of Vuelta Ciclista al País Vasco (final results now posted) with Chris Horner 1 second behind Alejandro Valverde heading into the decisive ITT. April 5 update: Starting Tuesday is the 4 day, five stage Circuit Cycliste Sarthe from western France. Lance Armstrong, Luis Leon Sanchez and Bbox - Bouygues Telecom's Pierrick Fedrigo and Thomas Voeckler are among the starters. Outside the U.S.? Don't see the Google Ad? Then click here. April 4 update: Monday is the start of the six day Vuelta Ciclista al País Vasco otherwise known as Tour of the Basque Country from Northern Spain. The startlist, race preview links, stage details and early live video options are now posted. April 4 update: Tour of Flanders: Live coverage details, final startlist and latest updates. And now results, photos and video highlights are posted. 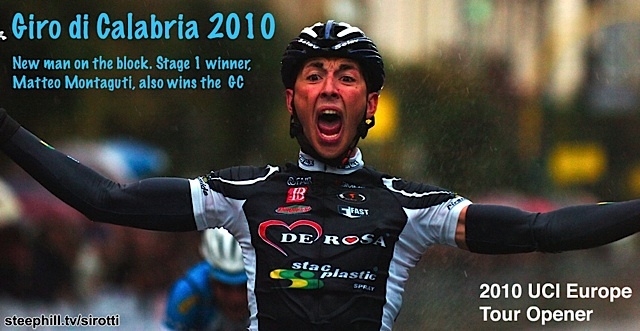 March 21 update: Up next on steephill.tv... Monday is the start of the 7 day Volta a Catalunya from eastern Spain. We'll have daily updates, delayed video and video highlights after each stage. Levi Leiphimer, Ivan Basso, Mark Cavendish and Andy Schleck are among the starters. March 18 update: Stage details for Volta a Catalunya (Mar 22-28) now posted. March 2 update: Up next on steephill.tv... Wednesday is the start of the 5 day Vuelta Ciclista a Murcia from southern Spain. We'll have daily updates, live video possibly and video highlights after each stage. Lance Armstrong, Bradley Wiggins and Denis Menchov will be racing. 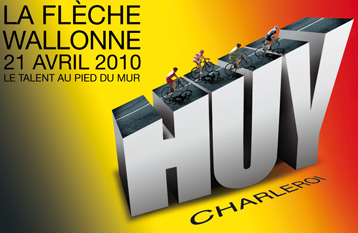 Feburary 27 update: Race Info & Post Race Coverage for Sunday's Kuurne-Brussels-Kuurne . 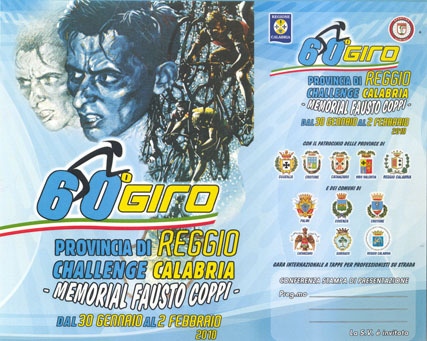 Feburary 21 update: The next featured race on steephill.tv is the Giro di Sardegna, off the coast of Italy, starting next Tuesday Feb 23 through Saturday Feb 27. We'll have links to live (text) coverage, big photos from Sirotti and video highlights. Feburary 16 update: Up next on steephill.tv... Wednesday is the start of the 5 day Volta ao Algarve from southern Portugal. We'll have daily updates with video highlights after each stage from multiple sources. Stage 4 should be streamed live over the internet. Feburary 15 update: Completed coverage of the Le Tour Méditerranéen from southern France including video highlights. Feburary 7 update: The Tour of Qatar starts this Sunday and continues on all week. Eurosport is broadcasting live so there should be live video streaming. 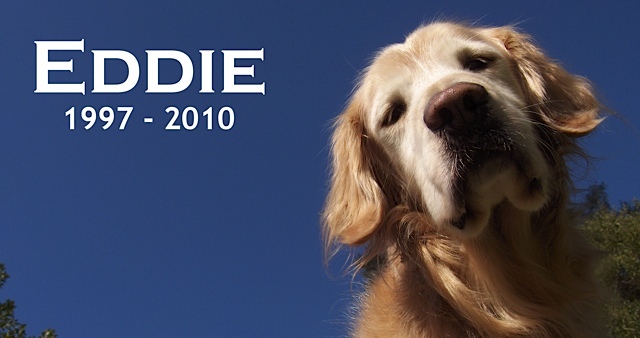 Feburary 5 update: A Big Photos Tribute to Eddie. He was the steephill.tv dog who patiently lay at my feet while I put together this site -- Steve. Now updated with four video clips. January 30 update: The first road race/stage race on the UCI Europe Tour is going on Jan 30-Feb 2 from southern Italy marking Michael Rasmussen's return to racing in Europe.